そう、Let's Get On It! You're My Only! 溶かせ、HONEY All Night Long Dancing with me! そう、Let's Get On It! Let's Get On It! la canci?n comienza desde el 00:30 Espero que puedan escucharla. 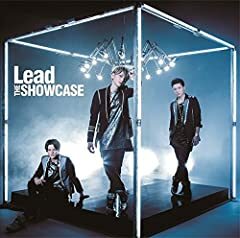 Este single es parte del ?ltimo ?lbum de Lead, The Showcase. my version of lets get it on...its not my best, i just got bored and recorded me playing a classic...i probably ruined it...lol. Let's Get It On CDLC by Marvin Gaye played on Rocksmith 2014 Edition. Tuning: E Standard Artist: Marvin Gaye Song: Let's Get It On Difficulty: 3/10. Lets get the lead out. Random video that you have to enjoy. Sorry about camera shaking. Filmed on an iphone. You try watching this in person and keep a camera still. Maceo Parker- &quot;Let&#39;s Get it On&quot;, Featuring: Jerry Preston-Bass/Lead Vocals!! !